Author Cartsand Chau revisits her youth in Vietnam and subsequent life in the U.S. in her debut memoir Reborn. No road to riches awaits 18-year-old Chau when she arrives alone in Seattle after her father sends her there in 1973 to escape the grim conditions of her homeland. Initially welcomed by family acquaintances, she is soon introduced to a man in New Orleans who claims her as his wife. Fearful of him, she flees but continues to become enmeshed in unhealthy relationships. Time and again, Chau extends her heart, body, and wallet to those who take advantage of her. She is not entirely blameless. Gullible to a fault, she dabbles in drugs and even decides to become pregnant in order to satisfy her desire for another child and provide a sibling for her 12-year-old daughter. She succeeds with a man she later marries and divorces and eventually makes a living by playing poker and working in card rooms. Despite the questionable choices Chau makes, her vulnerability affords her some appeal, especially in light of her earlier life. In Vietnam, she was raped by an uncle, physically abused by her womanizing father, and witnessed the brutalities of war. To add to these misfortunes, she observes that some Americans assumed she was “evil” simply because she was Vietnamese. Now with two grown daughters, Chau recognizes the profound effects the trauma of war wrought on her and shares her stories while aware that “no description can convey or impart the personal crisis that remains imprinted on my soul.” Her short vignettes do not always flow chronologically or thematically; better organization of her narrative would help provide cohesiveness. Additional reflection on her distinctive experience as a Vietnamese immigrant as well as her relationship with her daughters would provide greater insight. 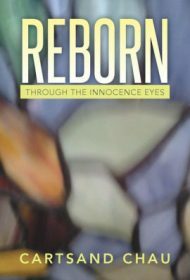 Reborn functions as a personal catharsis for Chau; for readers, it offers a stark glimpse into a troubled life, albeit one with little relief from its disheartening distresses.